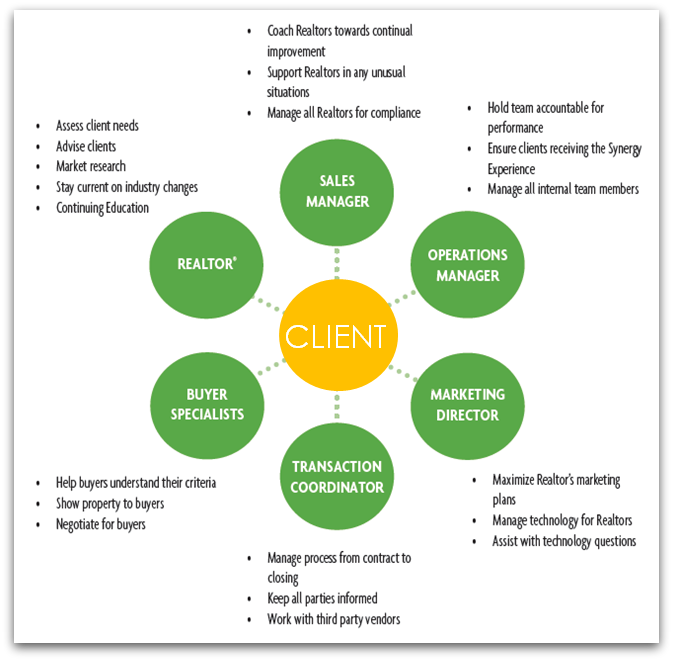 5 things you must know about the Typical “Lone Agent” & what the Synergy TEAM has done to resolve those problems. 1. Accountability – Synergy Has it, others DON’T. ‘Lone Agents’ work for themselves, not their logo! The Synergy Way is to hold our TEAM Accountable. Our Client Services TEAM is held accountable to supervision in standards of performance, character, competence, and are expected to continuously grow in these areas as well as continuously improve our Client Experience. 2. Time is on OUR side. ‘Lone Agents’ are TOO BUSY because they suffer from the E-myth. The ‘E-myth’ is a term coined by business thought leader, Michael Gerber, who describes in his book ‘The E-myth: Revisited; that the ‘Entrepreneurs Myth’, essentially describes how a person with good, maybe even fantastic, technical skills is lead to believe that they should go into business for themselves when in reality when they do they greatly underestimate the role and job of being a business owner. They end up becoming ‘self-employed’ and end up in a proverbial ‘hamster wheel’ where they are busy, busy, busy until they reach burnout and eventually check out. The ‘self employed’ e-myth victim becomes, by default, the CEO, CFO, CMO, CIO, as well as the manager, the sales person, the listing specialist, the marketing specialist, the technology specialist, the web designer, the flyer maker, the buyer specialist, the home valuation expert, the contract expert, the transaction coordinator, the receptionist, the bookkeeper, the tax guy, the receptionist, the janitor, and anything else that their unique self-employed business model requires. They simply are too busy and eventually burn out, at their client’s expense. At Synergy, Time is on our side. Which allows us to focus on our clients. The Synergy Real Estate TEAM business model delegates all of the administrative and business building tasks to the Business Development Team so that our Clients Services TEAM is free to focus on what’s most important, . . . . delivering a great client experience! The typical agent has not system, no plan, go goal, no point ‘A’ and point ‘B’. They are severely deficient in business systems and throughout your moving process they simply make it up along the way, making the ‘Lone Agent’ very unreliable. The Synergy Way is to deliver a customizable yet consistent ‘Client Experience’. Our TEAM has developed a customizable yet consistent “Client Experience” that guides our clients through the moving process with foresight as to what the next several steps are, when and how those steps should occur, and the systems in place to ensure they actually happen when they are supposed to. The Synergy Client Experience makes our team much more reliable than the ‘Lone Agent’. The typical ‘Lone Agent’ is a gamble. What you see isn’t always what you get. The ‘Lone Agent’ is typically a well intentioned person who has no accountability systems in place in regard to their personal character. You really don’t know what to expect from them until your deep into the process. You may wonder if they have what it takes to manage their business and still make your move a priority. The Synergy Promise provides our TEAM something to live up to. Our TEAM is held accountable to character standards by committing to The Synergy Promise. In the Synergy Promise we commit to continuously develop our personal character over time and we promise to deliver the best of ourselves for our clients. We document what our clients can expect in character and we do our best to deliver on our promises. The ‘Lone Agent’ is too busy to keeping up to grow. The ‘Lone Agent’ is usually so busy getting his business running that he has little time to commit to real estate mastery. The state mandates ‘Lone Agent’ is educated in only a few matters; Real Estate Buy & Sell Agreement, Disclosures, Addendums, and Employment Agreements. There is no requirements to be educated in Home Valuations, Marketing, Sales, Negotiations, Technology, etc. The Synergy Way is to harness the Power Of Focus. Because our TEAM has specific roles, we have more time to focus and understand our individual roles in depth. Then we bring our individual strengths to together and contribute them to the Team. Further, we commit to continuously grow our competencies through The Synergy Promise and to continuously deliver best information for our clients. We believe that when we deliver the best information, out clients get to make better life and business decisions from a much clearer position. 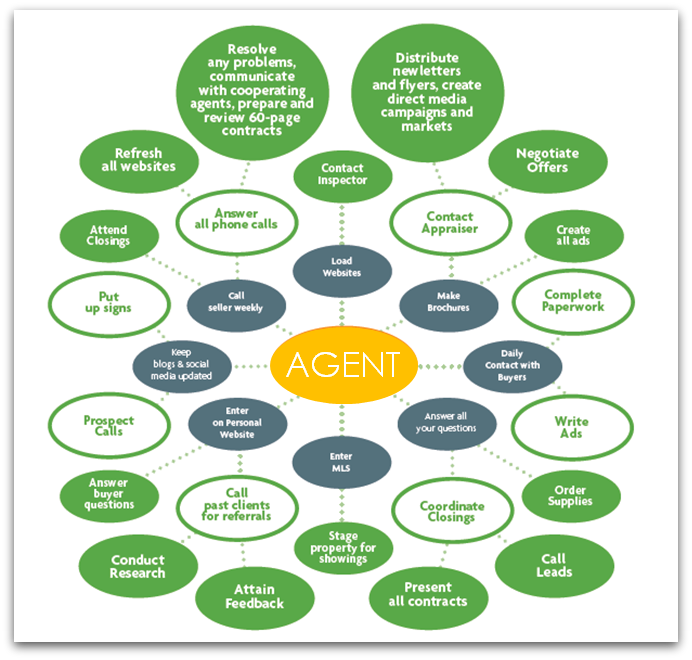 “The LONE Agent” – can 1 person do all this & attend to you the client? “The TEAM” – working together to get it all done & take care of you! So why hire an Agent, when you can hire a TEAM?